The last CIC of the IWAI Crusing Club was scheduled for the October Bank Holiday weekend. Unfortunately Arthur's captain was in London enjoying a concert of film-music composed by Dimitri Tiomkin (Guns of Navarone, High Noon, Giant, etc) and so we missed the start of the CIC and could only make our way to Portumna on the Sunday morning. 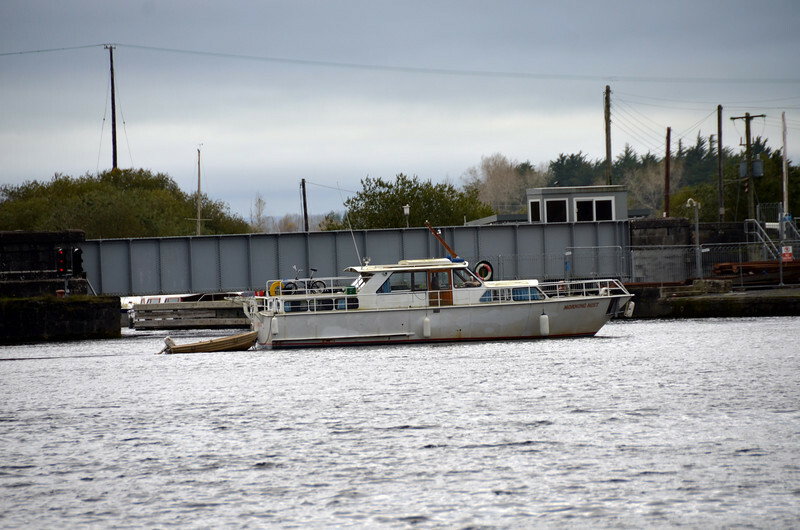 We set off from Maddens Marina on Sunday 31/10/2011 in time for the 12.30 Portumna Bridge opening. Morning Mist (Barry & Maura O'Brien) was already at the bridge waiting for it to open.